You can’t beat this when peaches are in season. 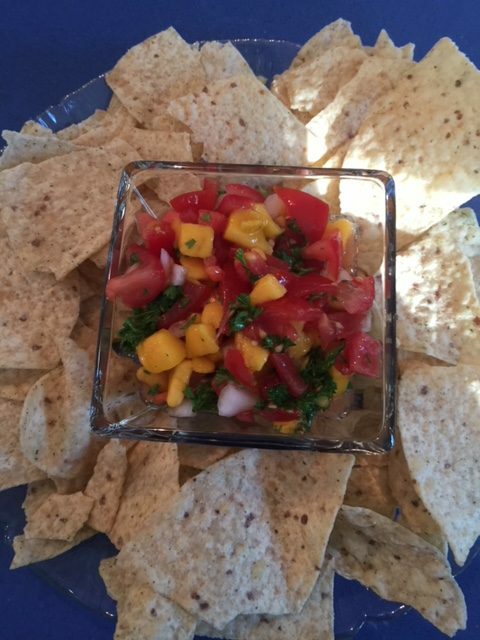 Mix together tomatoes, peaches (or mango), onion, garlic, and jalapeno. Add brown sugar, then season with lime juice, salt and pepper. Leave at room temp for 1 hour and serve with corn chips.